In a medical school, these critical central connectors are called Course Directors. They are the folks with the practical knowledge, functional relationships and, importantly, “street cred” required to translate the high level educational goals of our program into the multiple packets (courses) of education that, in aggregate, will come together to produce the fully formed graduate, ready for residency and great things beyond. Their job is basically to take a subset of the overall program objectives that are assigned to them by the Curriculum Committee, and develop the multiple components of teaching and assessment designed to ensure our students achieve the objectives. In doing so, they must engage and coordinate the efforts of their professional colleagues, other members of the educational community, educational specialists and our administrative support staff. By effectively orchestrating all these efforts, guided by the “score” provided by the curricular framework, they develop an effective and coordinated educational experience for our students. They are truly “connectors” as described by Cross and Prusak. They are absolutely indispensible to the success of the program. 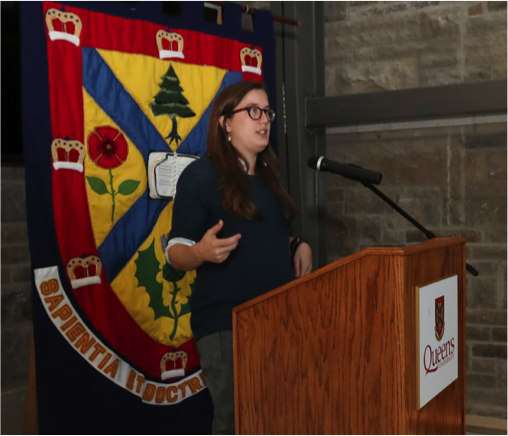 It’s a pleasure to thank Dr. Mackenzie for all of her work as the inaugural Co-Director of the QuARMS program on behalf of the QuARMS students. Most people have heard of the QuARMS program, but very few people understand the QuARMS vision as well as you do, Dr. Mackenzie. From the very beginning of the program, you helped to deepen students’ understanding of the role of the physician, the qualities of a leader in the medical community, and the values and ethics that are to be upheld in medicine. For some, it would be daunting to teach these topics to a group of teenagers, but you were more than ready for the challenge. Your passion for education and innovation has been clear to all of us. We appreciate the fact that you attended every single three hour Wednesday session for the first two years of the QuARMS program. Honestly, with young adults of your own, we would have understood if you claimed that you had administrative duties to perform and missed out on one or two of the sessions – but you were there, leading by example. 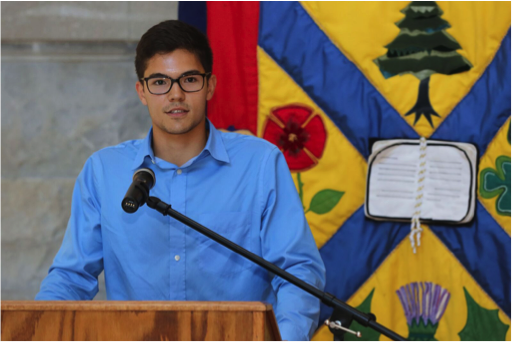 We also recognize your role in designing the QuARMS curriculum, which is unlike any other program in Canada. Through service-learning projects, you helped students to understand the importance of social accountability within the medical profession. You also led a transformation in how students think about volunteer work. Your vision and your values have shaped the QuARMS program. Thanks to you, service-learning projects have now become a much more important part of our medical school here at Queen’s. Let me start off by saying, anatomy is one of the most overwhelming topics in medicine. From head to toe, there is a seemingly endless number of muscles, bones, nerves, blood vessels and organs that each serve a specific purpose and thus need to be learned. Needless to say, without a good teacher, this subject can be very difficult to master. 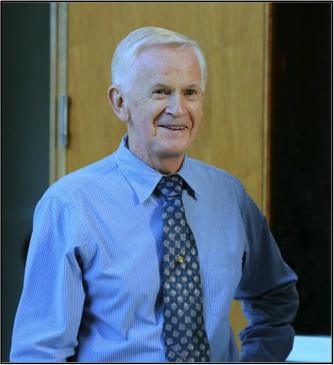 At Queen’s, we have been extremely fortunate to have had Dr. Conrad Reifel as an anatomy instructor for the last 43 years. Over his time here, Dr. Reifel has guided thousands of medical students through the vast, unfamiliar world of gross anatomy and has done so with patience and commitment. What I always appreciated about Dr. Reifel was his ability to take an area of the body that is incredibly complex and systematically break it down so that by the time he finished talking, it seemed quite manageable. Dr. Reifel also has a fantastic ability to keep a class engaged even when teaching a somewhat dry topic with his unique sense of humour and vast repertoire of personal anecdotes. I’ll never forget Dr. Reifel, standing at the front of the class with his arms outstretched using his own body to demonstrate the anatomy of the uterus. While the memory of that lecture does conjure up some odd images, I’ve never had trouble visualizing the uterine anatomy since then. 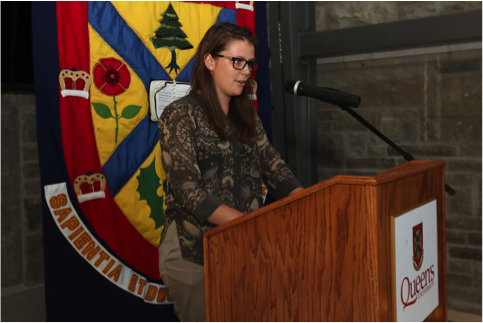 Dr. Reifel, on behalf of the medical students of Queen’s University, past and present, thank you for the decades of excellent instruction. Please know that you are respected and loved by the students you have taught and have positively impacted the lives of so many. You will be truly missed and we wish you all the best in your retirement. Dr Tomalty has been teaching in the Mechanisms of Disease course since 2010 and took over as Course Director in 2012. In this role, Dr. Tomalty worked tirelessly to make improvements to the course. He attended all the MoD lectures and met weekly with the class curricular reps. 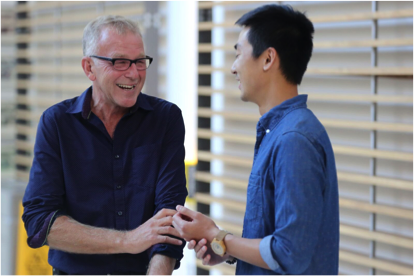 He set up consultations with students and faculty, organized a strategic planning curricular retreat and established a framework to link together a diverse range of subjects including pathology, immunology, microbiology and infectious disease. 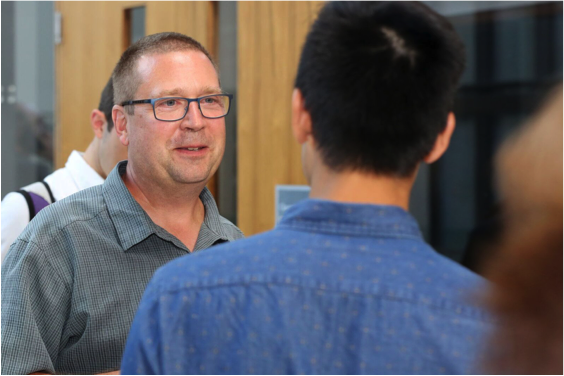 In addition to his role as Course Director for the Mechanisms of Disease Course, Dr. Tomalty also previously served as Vice Dean of Medical Education for the Faculty of Health Sciences and is the current Chair of the Course and Faculty Review Committee. As well, Dr. Tomalty is heavily involved in global health initiatives and provides his consultation services on infection control in Mongolia. On a more personal note, and speaking on behalf of the many students who have had the privilege of knowing him over the years, I have found him to be an absolute pleasure to work with. Even in his last year as the Course Director, he still met with the curricular reps on a weekly basis to discuss ways to fine-tune an already well-received course. I know from their stories that they looked forward to these meetings with Dr. Tomalty, calling it their weekly “T-Time”. 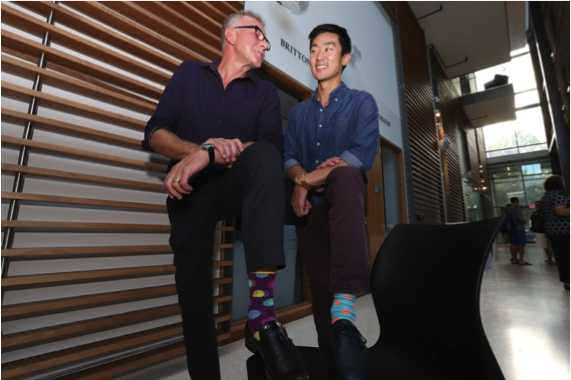 To quote another student, he is the “bestest, most efficient chair of a meeting ever.” I look to him as an exemplary role model of a leader and educator and as an inspiration for stylishly funky socks. Dr. Tomalty, thank you so much for your leadership as Course Director and I wish you all the best in your future endeavours. Dr. Chris Ward was one of the inaugural course directors for our new curriculum when it was introduced in 2009, and was responsible for developing and consistently aiming to improve the Normal Human Function course in Term 1. He has coordinated multiple faculty members, built a strong curriculum for the course, been part of the initiative to bring in Drs Moffatt and Parker to apply physiology to cases (which has added immeasurably to our learning), and helped to build introductory physiology modules for students struggling with physiology. This led him to be asked to join many, many, many UGME committees, including (but not limited to) the Curriculum Committee, The Teaching, Learning and Innovation Committee, and the Student Assessment Committee – currently, Dr. Gibson believes this to be a record for any one course director. He was instrumental in preparing our brief for the CACMS/LCME accreditation, reviewing all the sections that pertained to foundational science and its impact across the curriculum. Dr. Ward is known at Curriculum Committee for being the person to move that the meeting be adjourned! It started with only a few times, but now we look to him for this and he’s become everyone’s favourite motion-maker! As a medical student, I have not had much of a chance to get to know Dr. Ward personally. His name will always be associated with hypovolemic shock for me – which some may deem as unfortunate but I think is one of the highest honours a teacher can be granted. He elucidated complex cardiac physics with clarity and patience, and acted as a model to the other professors in his course. He expertly managed a complex course, juggling the schedules of many faculty members and even more stressed out A-type students. 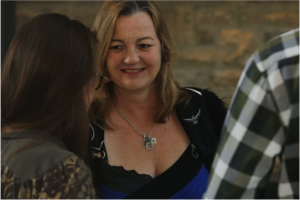 Dr. Ward has worked tirelessly behind the scenes to build our medical curriculum from the bottom up. This is a position that often lacks glory and recognition. We owe Dr. Ward a lifetime’s worth of thanks. The positive impact he has had as director of the Normal Human Function course on his colleagues and his students is immeasurable, and we thank him today for his contributions to the foundational medical knowledge of hundreds of medical students and wish him all the best for his future work. Let me add my thanks and personal appreciation to those of our students. I’d also like to acknowledge the ongoing efforts of all our Course Directors, who carry out their roles so effectively and provide those key “central connections” so essential to our program.